Bible Explorers is our Wednesday Night Children’s Program. It runs from September 2018 to May 2019. 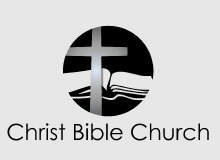 We meet every Wednesday from 6:45-8:30 p.m. in the Bridge Kids Building (E) – Pre-School to Elementary age children. The night consists of: worship, Bible lessons, games, crafts, and lots of fun. Click here to register online. For more detailed information, either visit our Bible Explorers page on this site, or contact our Children’s Ministries Director, Xiomara Bueno at (818) 776-1500 ext. 115. 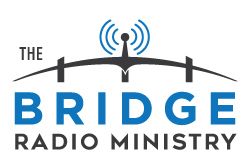 The Bridge Radio Ministry airs on KKLA weekly every Saturday at 7:30 am. 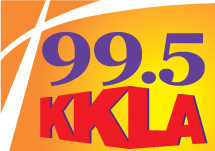 Join us beginning Saturday, March 18th, as Paul Brown, our Senior Pastor, begins a Saturday morning weekly radio show on KKLA (99.5FM). The first episode Pastor Paul interviews Richard Kennedy, Director of Ministry Relations at KKLA Radio, to discuss KKLA’s desire for the Word to go out and for people to get involved in local churches. 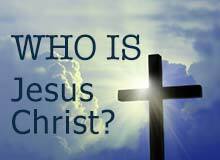 They will discuss the reasons why people are NOT going to church these days and the reasons the Bible gives as to why they should. Please be in prayer about all aspects of this production and TUNE IN! 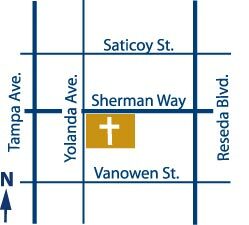 In an effort to better protect our church campus, we close and lock the entry and exit driveway gates between the hours of 9:30 pm and 7:00 am. If you have an authorized event going on when the gates are locked, advance arrangements must be made with the Church Office at (818) 776-1500. Thank you!